The term �throwback� has been used often to describe Thomas �Moose� Praytor. Just like the early careers of Earnhardt, Petty, Pearson and so many others Praytor works on his cars and knows every moving part. With an all- volunteer team that meets at the track, Praytor is not only responsible for preparing his car, he�s usually driving the hauler. The knowledge gained by working on his own equipment has served him well going all the way back to his first racing machine, an old beat up go-kart given to him by a family friend. With sponsorship from The Outdoor Channel Praytor made some of the first laps in a 600 Racing Bandolero in Mobile. The paint scheme for The Outdoor Channel included a full color moose coming out of the wheel wells. With a huge moose on the car Thomas was changed to Thomoose and is now simply the Moose. In 3 seasons the Moose wheeled his Bandolero and Legend cars across the Southeast picking up 14 feature wins, over 40-heat race wins, a track championship and an Alabama State Title. In 2006 Praytor made the move to stock cars and was named US Army Rookie of the Year at Mobile International Speedway in the Super Stock division. Praytor backed that up with the Rookie of the Year title at 5 Flags Speedway and runner up in the Championship points standings at Mobile & Pensacola in 2007. 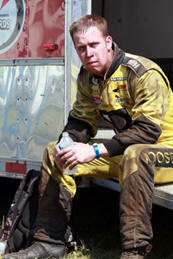 In 2008 the Moose made the progression to the Pro-Late Model class and was named the US Army Rookie of the Year in that division. The Moose followed that up by finishing 5th in the Championship standings in 2009. Doing double duty In 2010, the Moose finished in the top 10 in points at Mobile and Pensacola. In 2011 the Moose teamed up with Turner Motorsports and Ken Stabler�s Legend Cellars Wine for quadruple duty. The 2011 season saw the Moose compete in every Pro Late Model and Super Late Model race at both Mobile and Pensacola for the same team making the Moose the Ironman of the Gulf Coast. The Moose closed out 2011 testing for Andy Belmont Racing in Daytona. In 2012 the Moose made his first ARCA start in the Inaugural ARCA Mobile 200, Talladega and starts for Venturini Motorsports followed. 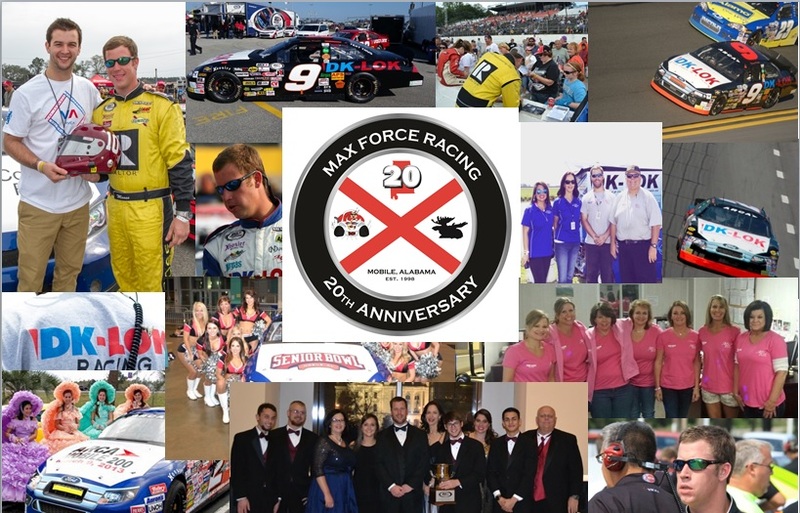 In 2013 Praytor�s Max Force Racing teamed with Hixson Motorsports for his first full season of ARCA competition finishing 9th in the Championship standings and earning the HG Adcox Sportmanship Award. With primary sponsorship from DK-LOK Fittings & Valves Praytor�s 2nd full season of ARCA competition earned he and his team a 7th place finish in the Championship Standings. When not competing at the track, Thomas was on the gridiron. Praytor�s teammates included Alabama stand outs Mark Barron and AJ McCarron. Barron is already with the Tampa Bay Buccaneers and McCarron is starting his professional career with the Cincinnati Bengals. As one of AJ�s centers Moose was part of 2 championship teams including an Alabama State title in 2007. For the last 2 season Praytor and McCarron have donated a specially prepared racing helmet to Alabama Institute of the Deaf and Blind Race Fever in Talladega. The Moose has been involved in the media side of racing from the young age of 12, shooting second camera on pit road for ARCA Racing This Week. In 2005 Thomas was part of the Outdoor Channel's coverage of the Hawaiian International Billfish Tournament. In 2006 he interviewed Tony Stewart for WNSP and has been tracking down driver interviews ever since. The Moose has been the subject of a couple of front page feature stories in the Mobile Press Register. The Moose Call, Thomas�s wrap up of the weekends racing action is now a regular part of Inside Alabama Racing on WNSP.